SINGAPORE 31 AUG 2018 – There will be a Singaporean flying the flag high at the 2018 Asian Games football tournament this Friday when Japan take on China in the women’s final. FIFA Assistant Referee (AR) Rohaidah Nasir has been appointed as AR1 for the gold-medal match at Gelora Sriwijaya Stadium in Palembang, Indonesia – a role she described as a “reward”. The 35-year-old has already been involved in four matches at this year’s Asiad – AR1 in the opening match between Korea Republic and Chinese Taipei on 16 August, AR2 for Hong Kong and DPR Korea on 20 August, AR1 for DPR Korea against China on 22 August and the semi-final between Korea Republic and China on 28 August. “I am ecstatic at this appointment!’ she told the Football Association of Singapore (FAS) website. “This is my first ever Asian Games in my refereeing career and my aim was to work very hard to perform to perfection. 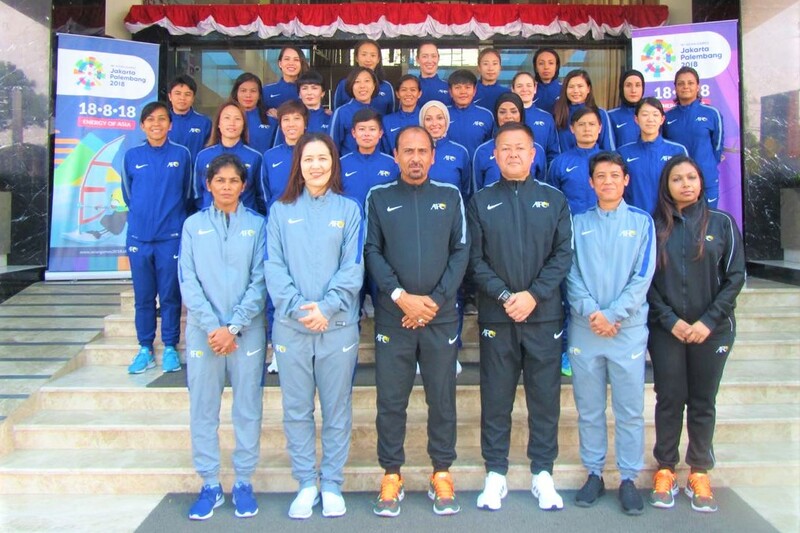 Rohaidah ranks officiating at the Asian Games in the top three tournaments she has been involved after the Asian Cup in April this year in Jordan and the East Asian Football Federation (EAFF) Cup in Tokyo last year. Currently a touch football coach, Rohaidah took up refereeing in 2004 as she wanted to learn more about football. Along the way, she believes the journey has made an impact in her life “in terms of commitment, discipline and being strong and firm”, in addition to building up her courage. Rohaidah has also officiated at men’s matches, having had a stint in the then-S.League from 2008 to 2011, as she previously regaled in an interview last year. 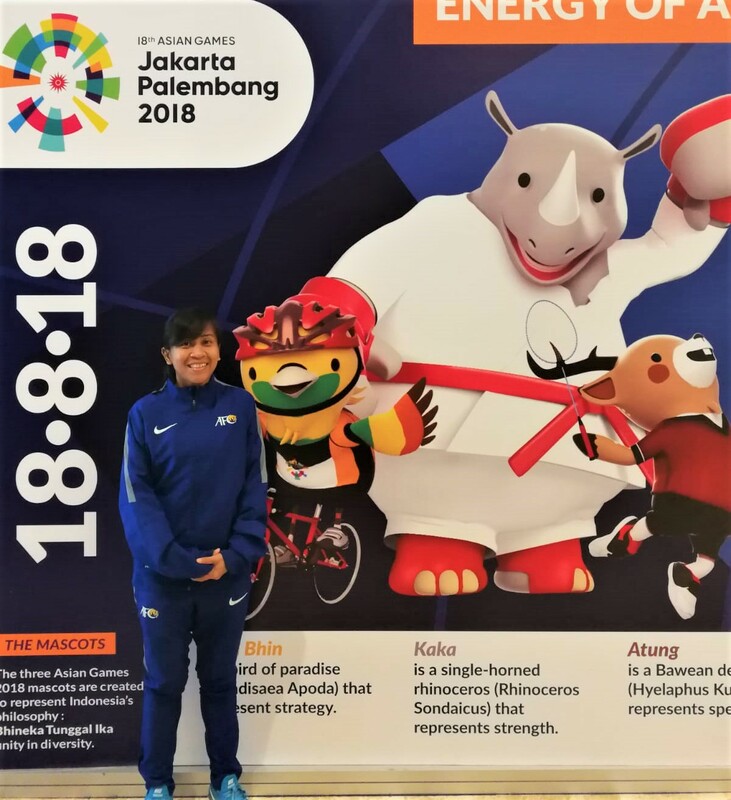 There is still a long way to go in Rohaidah’s mind and experiences like these Asian Games has only served to whet her appetite. “If you achieve being appointed to officiate at finals, you get a medal for that hard work and it’s a good feeling, like winning (something),” she said. The final between 2010 champions Japan and China, who are seeking their fourth crown after triumphing in 1990, 1994 and 1998, will kick off at 7.30pm Singapore time. We wish Rohaidah all the best!